Hanover - Borussia Dortmund scored four goals for the third time this season in Saturday's 4-2 win away to Hannover 96, but the victory at the HDI Arena was anything but a walk in the park. 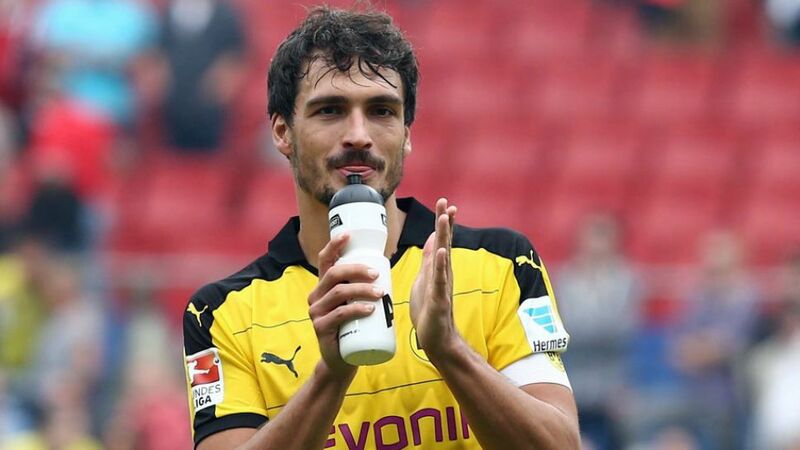 Mats Hummels: "This wasn’t an easy game that we won. It was one that we really had to fight for. We knew it would be a tough game and it was, and we only made sure of it when we made it 4-2. The game was on a knife-edge up until then." Matthias Ginter: "At the moment I just feel incredibly good, even playing at right-back. It’s a mix between playing as a centre-back and a defensive midfielder, and it hasn’t been that much of a change for me. Both our full-backs play high up the pitch, and at the moment, it’s just a huge amount of fun." Ron-Robert Zieler: "It’s a really painful defeat. We were unlucky with the goals we conceded today. It’s no consolation, but I was pleased with the way the team played today. I can only praise our attitude and commitment. We played an open game and fought back brilliantly to make it 2-2. It was tough to take when we went 3-2 down. We all knew today that we were up against a top Dortmund side, and we also knew they'd have a bit more of the ball. But for long periods we did a really decent job and tried to create chances - that pleased me. Obviously we can’t be happy with one point from four games, but we can’t let it get to us. The team know that, too. We want to forge ahead together and the performance today is a good place to start."